Many questions have been raised since the Cannabis Act was implemented in Canada on October 17, 2018 (refer to the legalization and regulation of cannabis for more details). However, the predominant question is this: how can pastors and church leaders provide leadership and care to people who are wondering about the use of non-medical cannabis? 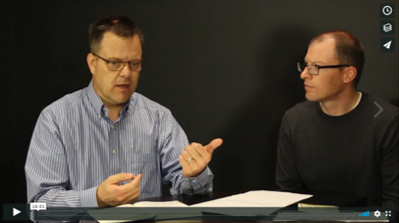 In response, MinistryLift has produced a video featuring Dr. Brian Cooper (MB Seminary) and Pastor Matthew Price (North Langley Community Church). This round-table discussion touches on several topics that pastors are likely facing. As you watch this video and consider its implications, feel free to reply with a question or thought in the comment section below (you can also submit a comment via email). Round Table Discussion – Legalized Marijuana – a resource created by Chis Walker, Discipleship Pastor at Meadow Brook Church (Leamington, ON). This resource was created to give people time to read, reflect, and pray about the topic in advance of their church’s round-table discussion. The content helped people feel more aware of the relevant Scriptures, issues, and questions that needed to be considered. Meadow Brook’s hope and prayer is for other churches to use this resource to prepare for similar conversations that will allow them to experience peaceful discussions filled with respect and thoughtfulness! What You Need to Know About Cannabis – the Government of Canada outlines the dangerous health effects of cannabis, specifically to those under the age of 25. Chemical Substances in Cannabis – an explanation of how THC and CBD impact a person’s brain; the table on this page lists different forms of cannabis and their potency. I just wanted to send you a quick note of “Thanks” for this video. I had someone in my office just this week who had set up an appointment to meet with me to talk about this issue. Watching this video was a helpful preparation for the conversation that followed later that day. So “Thank You” for taking the time to put together such a timely and helpful resources! I found this discussion interesting. Although, it does not sound as convincing as it could be. However, I do like the question about; “Why should a Christian need to be high or escape psychological pain with any substance?” I believe physical pain relief might be a different argument if the user is honest with themselves and a medicinal substitute is provided. In my years of counselling users, often times the user will cite pain relief as the reason for cannabis consumption if cultural pleasure is deemed inappropriate from a biblical point of view. Addiction will always default to denial. A pastor needs top be strong and decisive in their approach without wanting to be liked. My mother-in-law had to be assured that her use of Tylenol was not contrary to her values related to be addicted to this medication. The thought that it would be quite Ok for her to use such medication as long as it enhanced her living experiences and well being. Since nicotine is not part of our lifestyle, my opinion about the use of Cannabis in the ways discussed leans to resist the temptation.